Saturday evening, we were invited, at the last minute, to a big wedding - the nephew of a friend of Phouvong and Ken. It was an extravagant celebration – close to a thousand of guests with dancers. 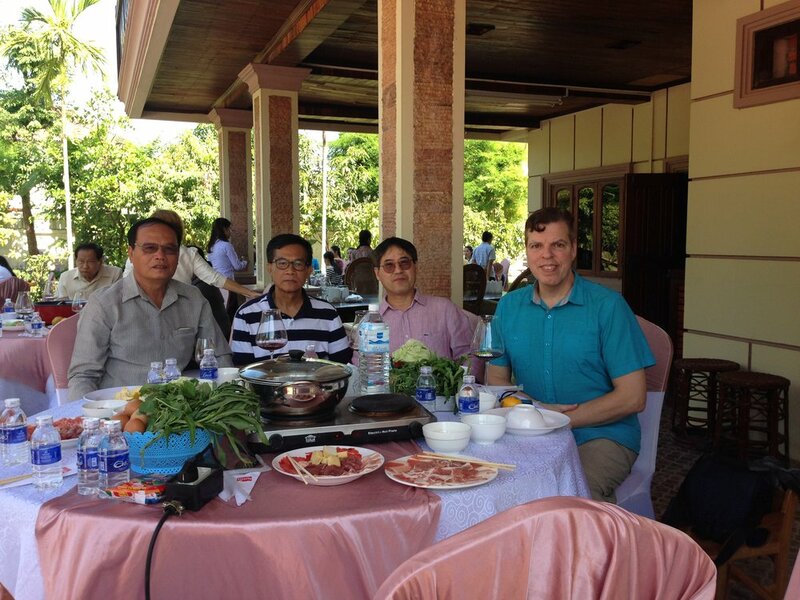 At least 15 friends of Phouvong and Ken were there. Ken was able to talk with a few of them. SKL was part of their discussion. This Sunday morning, we visited Ken’s sister family. In the mid-afternoon, Noy gave us rendez-vous near by the hotel. 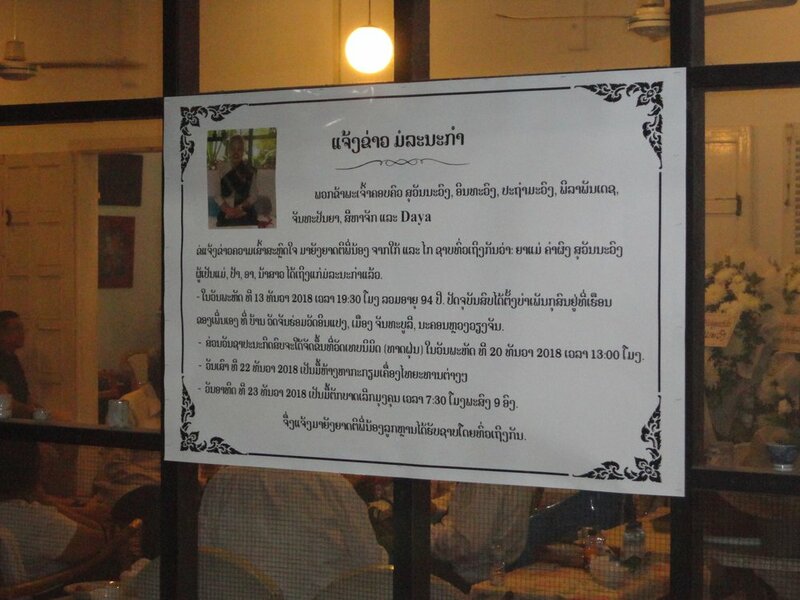 There was a funeral ceremony for the passing of one of his aunt; a touching ceremony with monks. For us, it was another opportunity to meet people working for some international companies. Ken also met some friends. Back to the hotel, soon after supper time, we started to pack our bags. We are leaving early morning tomorrow for Savannakhet.